The first no-limit hold'em event at 2018 Triton Super High Roller Series Jeju attracted some of the players who skipped the Triton Hold'em (Short Deck) events and took to the felt for the first time here in South Korea. The field looked more as a traditional portfolio of the high stakes tournament get-together with regulars from Europe and North America hopping into the HK$500k 6-Max. Sam Greenwood was one such player, joining the six-handed battles along with his brother Luc. 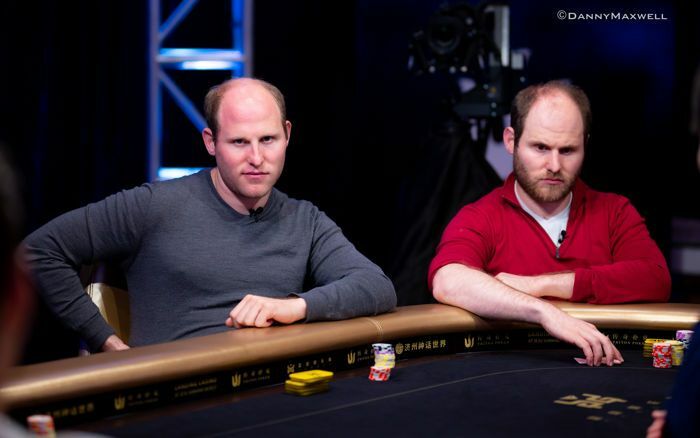 While the Greenwood brothers play high buy-in events all around the world, they haven't been too active in recent months. The taxes for Canadians basically shut the door for them to play in the United States where the vast majority of the poker action takes place during summer time. But they arrived in Jeju and even spent a significant part of the day sitting next to each other. As is usual for the Greenwoods, they aren't the type of players who would first scope the field before jumping in. They were among the first three players to register. Then they waited until the tournament got enough entrants to kick off. Luc Greenwood (left) and Sam Greenwood (right) were seated side by side. "The field is about what I expected. I know that recreational players in Asia show up late. They have the registration open for two levels more. I think it's a slightly different scene here," Sam Greenwood said. "The field is about what I expected. I know that recreational players in Asia show up late." 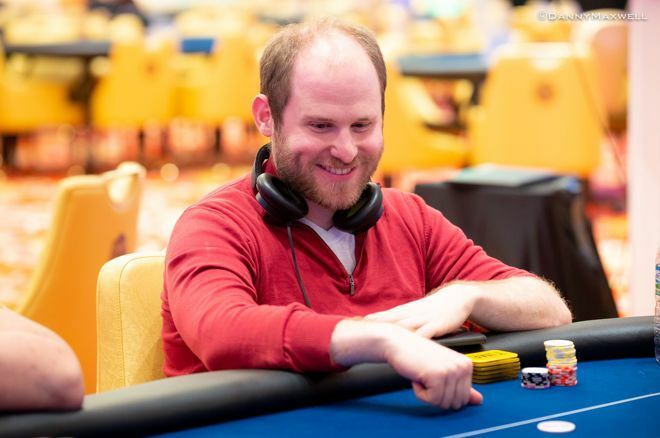 Eventually, the field grew to 25 entries through the first nine levels but as Greenwood noted, it's likely that the total number will increase tomorrow with the registration running until the start of level 12. Unlimited re-entries are allowed through the registration period but that shouldn't be something Sam Greenwood would need to worry about. He finished the day with the biggest stack, claiming the pole position on the very last hand of the night. Greenwood found pocket aces on the button and three-bet over Elton Tsang's open from the cutoff. He ended up in a dream spot as Tsang fired back with a massive 68-blind four-bet shove with ace-five. That particular situation didn't require the calibre of skills Greenwood possesses, but it was the hand that allowed him to stack 191,700 ahead of Day 2. Widely regarded as one of the best tournament players in the world, Greenwood is now surely the hottest favorite to take down the title. It's still a long way to go, though, and the 14-strong list of survivors includes a truly outstanding lineup. The top five features the likes of David Peters (145,500), Stephen Chidwick (111,700), Mikita Badziakouski (110,500) and Steve O'Dwyer (100,900). All of these players have been the driving forces of the high rollers around the globe in the past few years. They will be accompanied by all-time legends Patrik Antonius, Phil Ivey and John Juanda so make sure to tune back to PokerNews live coverage on Friday, July 27 at 2 p.m. local time as the star-studded battles continue at Triton Jeju. 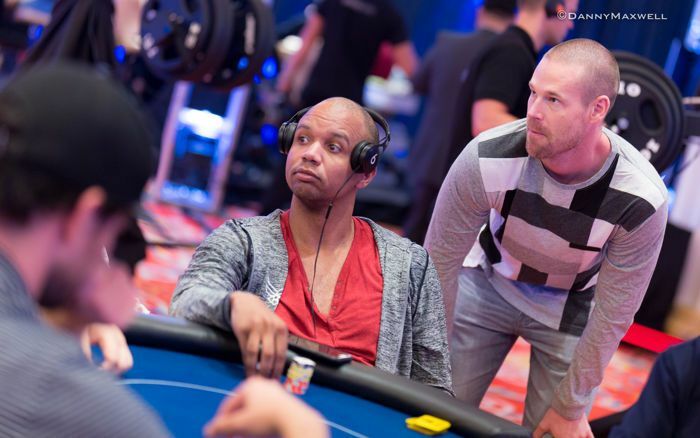 Phil Ivey (left) and Patrik Antonius (right) both bagged.